YCP- short for Yellowchilli’s Playground. 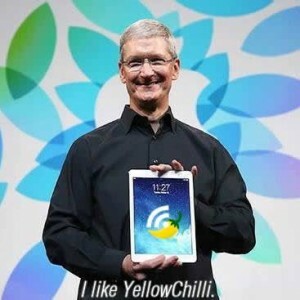 It began life arond 2009 as “blog.yellowchilli.net” and was run by- you guessed it- yellowchilli. The blog’s goal was to document tech problems and fixes, to provide tips and tricks, how-to aritcles, industry analysis. Eventually it expanded and “reviews.yellowchilli.net” was born. After running out of devices to review at home, YCP gained the trust of not just friends and family, but of mobile manufacturers themselves. These days we work with Samsung, Nokia, HTC as well as online retailers to bring our readers unbiased device reviews and comparisons. We want to be able to offer our readers more function and features and to build a better community. And so YCP was migrated from Blogger to WordPress in January 2014. We hope you enjoy visiting YCP.